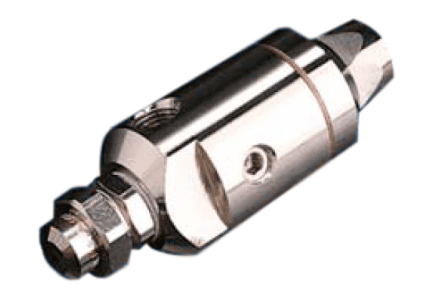 MX bodies contain an air actuated cylinder which controls the spray operation by means of a needle, opening or closing the water inlet in the liquid nozzle. 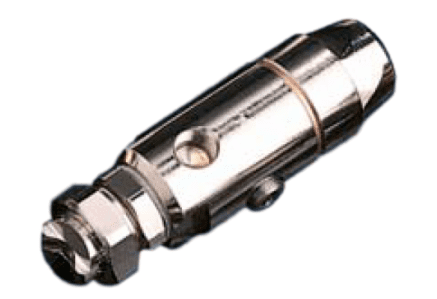 Normally the air used for atomizing the liquid flows continuously, while the air to the actuator is used to start and stop the atomizing cycles. For longer idle times between two atomizing cycles, where too much atomizing air would be wasted, sequenced shut-off should be organized for the two air lines. The actuator air should be stopped (and the liquid flow interrupted) before atomizing air to be sure all liquid inside is completely atomized and dripping is avoided. Conversely, when spray begins, atomizing air should be started first so that incoming liquid is atomized without dripping.